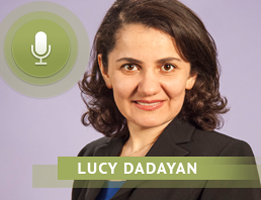 INTRODUCTION: Lucy Dadayan is senior policy analyst at the Rockefeller Institute for Government in New York State. She is the principal author of a new report entitled, State Revenues from Gambling: Short-term Relief, Long-Term Disappointment. And she is with us today to talk about the findings from that report, and why gambling is not a reliable and sustainable source of revenue for states. JOHN RUSTIN: Tell us briefly about this report by the Rockefeller Institute and its purpose. What aspects of state gambling did you examine, and what states did you study in the report? LUCY DADAYAN: Actually, the report is the fourth report examining trends in gambling revenue. The first report that we conducted was around mid-2008 during the “Great Recession,” when a number of states were looking at the extension of various gambling activities. So, we did the first report where we examined the trends in gambling revenues, and the impact of the recession on the gambling revenues. The subsequent studies clearly showed that gambling revenues were not recession proof. For this study, we mostly examined gambling revenues from major parts of gambling activities, such as lotteries, commercial casinos, racinos, and pari-mutuel wagering. And we did so for all states that have legalized gambling activities. The only two states that do not have gambling are Hawaii and Utah, and in Alaska, gambling is permitted in Indian casinos only. So, it’s the only study that I’m aware of that presents longitudinal data for nearly all types of gambling activities across all states. JOHN RUSTIN: Now, I know one question that you examined in the report is why states engage in gambling. Talk about the lottery in particular for a few minutes, and I know that North Carolina was one of the most recent states to enact a lottery in the mid-2000’s. Why do so many states often turn to the lottery in the hopes of generating revenue? LUCY DADAYAN: In fact, the lottery is one of the more traditional types of gambling. Lottery expansions were especially popular in the 70’s and 80’s, and currently lottery operations are legal in 44 states. New Hampshire was the first to legalize the lottery in 1964, and by 1990, lotteries were fully operational in [a number of] states. North Carolina is one of the latest states [to adopt the lottery], and states have adopted lotteries in the hopes of raising more revenues for so-called “good” causes. Profits are often earmarked by laws that normally put the revenues generated from the lottery in the general fund or in a dedicated fund targeted toward particular program areas, usually that’s education, veterans programs, environmental protection, and natural resources. And despite the popularity of the lottery, the revenues generated are not a significant contributor to state budgets. Mostly, if we look at the information adjusted figures for the nation as a whole, we haven’t seen much growth in revenue from lottery in recent years. JOHN RUSTIN: Your report looks at the percentage of overall revenues generated by the states and the percentage that comes from gambling activities, and on average, if I understand correctly, typically states that have gambling activities, lotteries etc., may generate about 2 percent to about 2.5 percent of their overall revenues from those gambling operations, so it does make up a relatively very small percentage of their overall budgets. LUCY DADAYAN: That is correct. JOHN RUSTIN: I know that you mentioned this earlier, but during the so-called “Great Recession” in the late 2000’s, many states chose not to raise taxes but instead expanded various forms of state-sponsored gambling, whether they had those forms of gambling already and sought to just increase the existence of them, or to institute additional forms of gambling in an attempt to generate more revenue for the state. Is this something that worked, according to your research, or are those states experiencing different types of results as a response to that? LUCY DADAYAN: Raising taxes from gambling are politically more feasible, and tax revenues from gambling have been very popular during the “Great Recession.” The overall trends indicate that despite the fact that many states have turned to gambling over the past eight years, we see that the growth in tax and fee revenues from major types of gambling have not kept the pace with the growth in state and local government tax collection or overall the economy. So, to answer your question, no, it did not work. JOHN RUSTIN: Now you show in the report that gambling revenue, including lottery revenue, also did not do well in 2015, especially compared to 2014. How many states saw declines in gambling revenues last year, and what about North Carolina, how did the lottery perform in North Carolina during the last year? LUCY DADAYAN: Inflation adjusted lottery revenue collection declined by $31 million, or 0.7 percent from fiscal year 2014 to 2015. Looking at all states, about 27 states saw declines in lottery revenues in 2015, and 16 states saw growth. North Carolina actually reported growth at 3.3 percent in real terms. It’s true that revenues from lottery in North Carolina have been increasing year after year; however, lottery revenues in North Carolina did not really supplement education spending, which was the promise that the lawmakers made in 2005 while debating the legalization of lottery. Actually, there have been some studies conducted indicating that North Carolina is spending less per student on public education than before the lottery was first passed. JOHN RUSTIN: That’s interesting, and I know that as you said a major issue that was discussed in 2005, and in years prior to that as the lottery was debated is that those revenues would be used to supplement as opposed to supplant existing education dollars, and according to what you’ve said, it looks like the lottery is not living through on that promise…. Well, Lucy, based on your analysis, what is causing the decline in gambling and lottery revenue in states where we’ve seen those declines? LUCY DADAYAN: I would say competition and cannibalization are the main drivers of declines in gambling revenues. They are certainly other factors as well. For example, the Great Recession has a significant impact on American’s discretionary spending behavior. Overall, today, Americans are saving more and spending less on discretionary items, and certainly spending on gambling is a discretionary spending category. Another factor is the changing demographic patterns. Gambling in general attracts the elderly population, and the gambling industry tries really hard to engage the Millennial population. 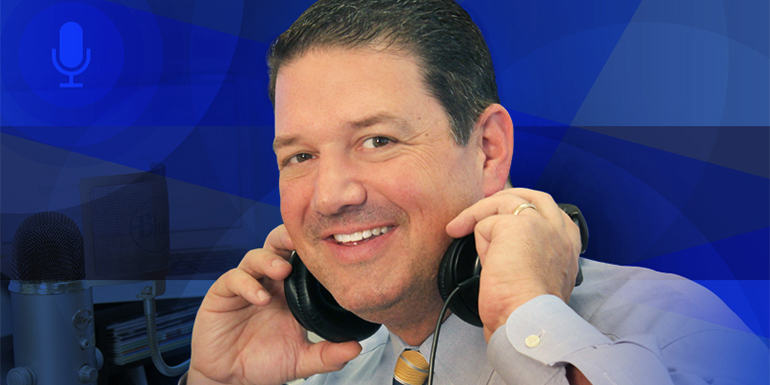 JOHN RUSTIN: You used the term “cannibalization.” Can you explain that a little bit for our listeners? LUCY DADAYAN: The term cannibalization or substitution, they are mostly synonyms, and they refer to the shift of spending on one type of activity to another type. So cannibalization refers to the substitution on spending of the same gambling activity within different geographical locations. For example, because of the expansion of casinos, we have seen a lot of evidence for cannibalization, and gamblers no longer drove to neighboring states to spend time and money on casinos [because] they stayed in their home states, which was the case between New Jersey and Pennsylvania. When Pennsylvania legalized casino operations, state officials in New Jersey blamed Pennsylvania for seeing declines for casino revenues in their home state. JOHN RUSTIN: I know the report’s purpose was not to examine the social costs of gambling, but you did look at the impact of certain social costs because, as you point out in the report, “gambling creates costs that are paid by all taxpayers, not just gamblers.” Tell us a little bit about what you found regarding the costs of gambling to society, and how that impacts state revenue in general? LUCY DADAYAN: We looked at the literature, and the literature shows that expansion of any kind of gambling leads to potential social costs, which in turn leads to economic costs. So, there are a lot of studies that have looked at the social and economic costs of gambling, and the most significant costs are related to so-called problem or pathological gambling, as well as to increase bankruptcy rates or increased crime rates. There are some estimates that around 3 percent of Americans are suffering from problem or pathological gambling, and every year, states are spending millions of dollars on treating the pathological or problem gambling. Studies also have examined the possible impact of gambling on bankruptcy or crime rates, and the results are very mixed, and it is really hard to measure the social and economic costs of gambling. Nevertheless, the benefits of gambling should always be viewed along with the costs, and neglecting social cost is simply not an option. JOHN RUSTIN: I think that’s very important for the public and for our lawmakers to understand that often they’re led to believe that the expansion of gambling will be an economic boon for the state, but in fact there are significant costs in lots of different areas that will result from that. We did hear that these same kinds of arguments about the lottery in North Carolina that it would be that economic boon for the state, but based on your findings, what advice to you have for state legislators who are considering expanding various forms of gambling, including lotteries. I know here in North Carolina that there is a proposal before our state legislature right now that would allow the state lottery to double its advertising budget and essentially saturate the airwaves, television, and radio with more ads promoting the lottery. What would you say to state legislators who are considering proposals like that, or enacting forms of gambling that currently are not in place in those states? And speak specifically if you would about your thoughts regarding whether gambling is a reliable form of revenue for states or not? LUCY DADAYAN: The advice is very simple: look at the history and look at the big picture before jumping into the legalization of any kind of gambling activity. The history shows that overall gambling revenues are not sustainable source of revenue. For sure, expansion of any kind of gambling brings in short-term budget relief; it generates more revenue. However, as the novelty of any specific type of gambling activity wears off, and as the competition becomes much stiffer, revenues from gambling ultimately decline and leave the state with budget holes to fill. We have seen it in the case of casinos, where we looked into states that had adopted casinos before 2006 and after 2006, and history clearly shows that the revenues from casino operations have been declining in the states with older history of casino operations. So, look at the big picture and look at the history would be the advice. JOHN RUSTIN: I think that’s great advice. Lucy, before we conclude our discussion today, I want to give you an opportunity to let our listeners know where they can go to learn more about the Rockefeller Institute and your new report, State Revenues from Gambling. LUCY DADAYAN: Certainly. The new report as well as the previous reports are all on our website at www.rockinst.org.